Durga Puja festival marks the battle of Goddess Durga with thepowerful buffalo demon Mahishasura. This year Durga Puja 2017 festivities would begin on 26th September (Shashti) and end on 30th September. Each pandal has something different to offer, not just for Bengalis, but for people from every community. 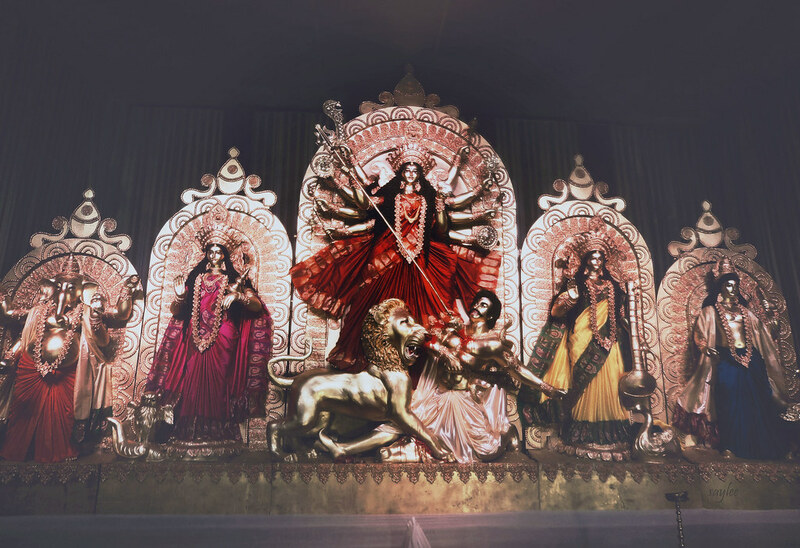 These are nine Durga Puja pandals you must check out in Mumbai! 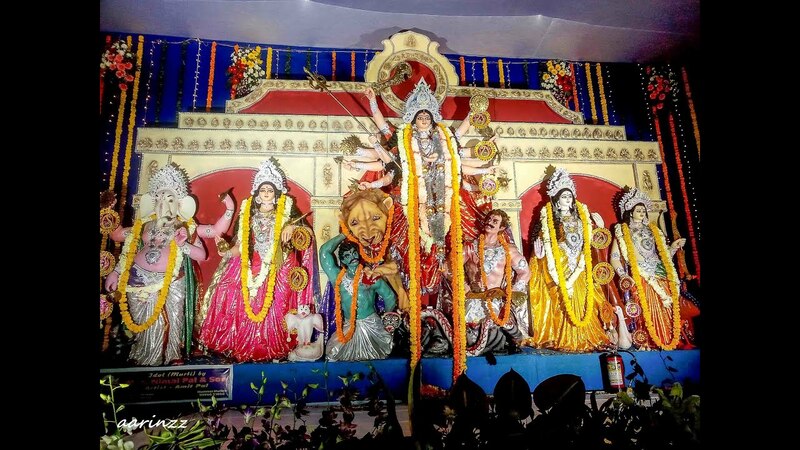 The Powai Bengali Welfare Association will organise the week-long Hiranandani Durga Puja starting from Monday, September 25 and ending on Saturday, September 30 on Bijoya Dashami. The massive idol of goddess Durga adorned with breath-taking jewellery is one of the prime attractions, as is the delicious mishti doi and fried fish that are served as part of the festivities. Headed by the Lokhandwala Durgotsav Committee, this is one of the most famous pandals in the city. Bollywood playback singer Abhijeet Bhattacharya is the president of the organising team and this place is known to be frequented by celebrities. Here Durga Puja will be celebrated from Sunday, September 24 to Thursday, October 5. 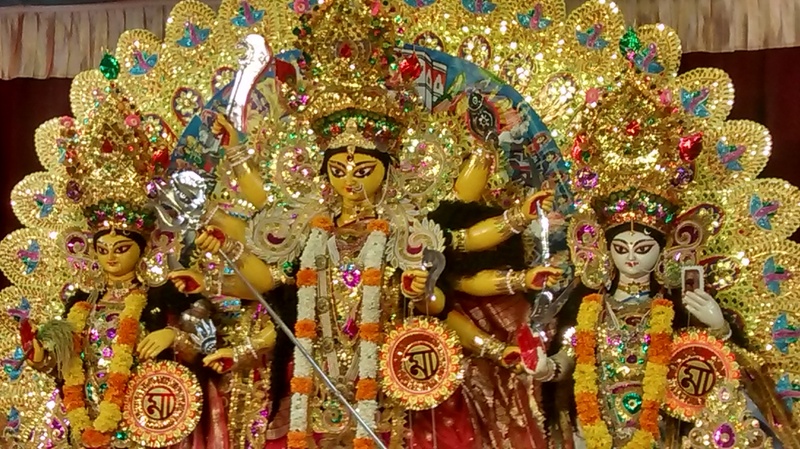 The grand unveiling of the idol will take place on September 24, Maha Durgashtami Puja on September 28 at 7.30 am and immersion of the idol on October 1. They will also host Lakshmi Puja at 7.30 pm on Thursday, October 5. You can taste authentic Bengali delicacies from the bhog from September 27 onwards, while will be interesting cultural programmes will be showcased as well. Organised by the North Bombay Durga Puja Charitable Trust, the Durga Puja at the Tulip Star hotel is celebrated with great pomp and grandeur! 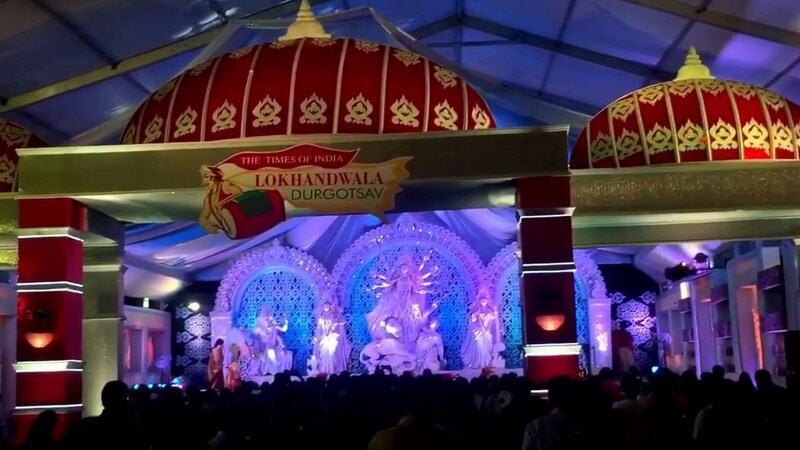 This pandal is known to be patronised by celebrities, and if you’re lucky, your bhog served in a thali could be served by Kajol or Rani Mukerji! The Ramkrishna Mission Durga Puja pandal is one of the most iconic ones in the city. During this time of the year, the temple swarms with devotees from all corners of the city. The Puja will be organized from Monday, September 25, while the main Mahastami Puja will be at 6.30 am on Thursday, September 28. The immersion of the idol will happen on September 30 at 10 am. Besides, the Puja and bhajans will be held every evening at 7:15 pm till the last day. The bhog here might not be as elaborate as the one at Tulip Star, but the khichudi will satisfy your soul! The Bengali Club at Shivaji Park celebrates Durga Puja like no others, just ask the regulars! The morning and the evening puja have a traditional touch to it. Given that it’s held on the Shivaji Park grounds, the large space turns into a sort of a ‘fair’ with numerous stalls selling artifacts, clothes and knick-knacks! Of course, there’s plenty of food too!. 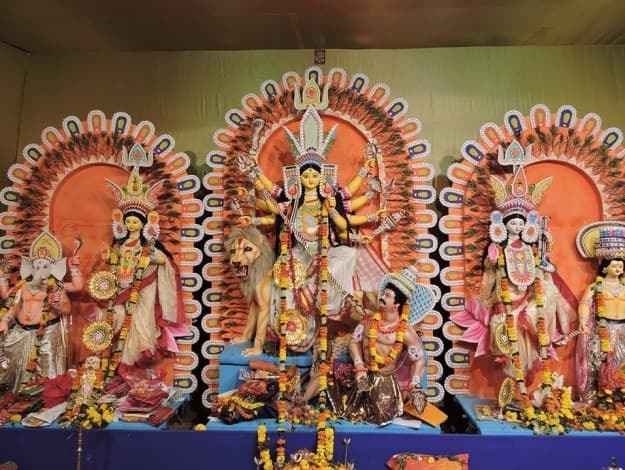 Organised by the Bombay Durga Bari Samiti, the puja at the Tejpal Auditorium, in SoBo is by far the oldest and pandal the biggest in the city. They are known for their cultural programmes and grand Aarti. If you plan to go pandal hopping, this is one you shouldnt miss. 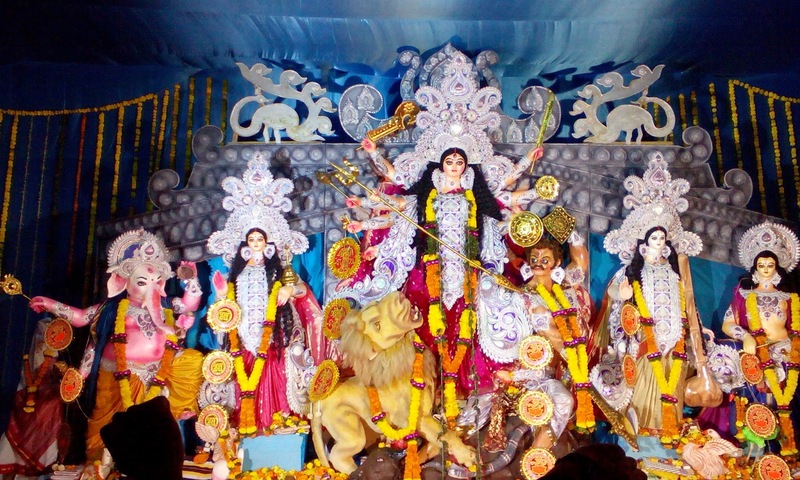 Organised by the Thakur Village Bengali Association, this Puja pandal is set up for five days and is known for its grand shola (an art native to the people of West Bengal where they use tree stems to make objects) idol and authentic Khichuri, which is a Bengali style Kichidi and Labra, which is a mixed vegetable curry and bhog. The Durga Puja pandal here has been organised since 1954 by the Chembur Durga Puja Association and sees over 1.5 lakh devotees every year. They have the Puja, aarti, and distribution of bhog as per the usual Bengali tradition. A highlight here are the stalls put up by artisans from rural Bengal, and the special area that’s dedicated to activities for children like magic shows. Apart from being one of the grandest Durga puja pandals in Navi Mumbai, this one is popular for serving authentic Bengali delicacies. Another big attraction is their series of cultural programmes showcased by artists from West Bengal.